So you’re having a new crown or even a bridge being done? These are common functional and cosmetic treatment options. You may have thought that this was just the dentist and his technician’s work. No! 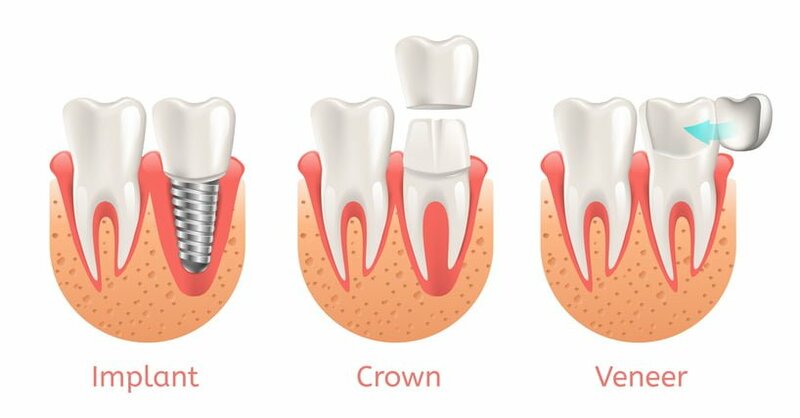 You, the patient, have a massive role to play in making your crown fit accurately and comfortably. After we prepare the tooth for a crown, we need to take a mould of what we have done in the chair. We send this mould to a dental lab, which manufactures a beautiful crown for you. So how does this relate to you? It’s all about the gums! Healthy gums are firm and do not bleed easily. Unhealthy, inflamed gums are red, puffy, bleed and ooze. It is extremely difficult for us to take an accurate impression of your teeth and gums if there is blood and exudate in the way. Working on puffy, swollen gums is also uncomfortable for you. Good gums make a good impression. A good impression makes a good crown. A good crown makes a happy patient and dentist! The answer is simple. Your teeth need to be brushed regularly (at least 2 times a day) and flossed daily. It is essential that you clean in between the teeth. This can be achieved with simple floss or with interdental brushes. Some patients have found electric “flossers” to be of great use. However, there is little/no current clinical evidence to show that these do a better job than traditional manual methods. Bleeding when you floss is quite normal especially if the gums are inflamed and red. This is actually an indication that you should floss more! As long as you are gentle and regular with your interdental cleaning, the bleeding should subside as the gums get healthier. The bleeding will cease if you are consistent and diligent! By working together, we can make sure that your crown fits well, looks great and lasts for many years to come!